Galls restricts the sale of body armor and related products to public safety professionals, military, security officers. Appropriate documentation will be required. If shipping to Connecticut, you must ship to law enforcement agency address. Click HERE for more information. 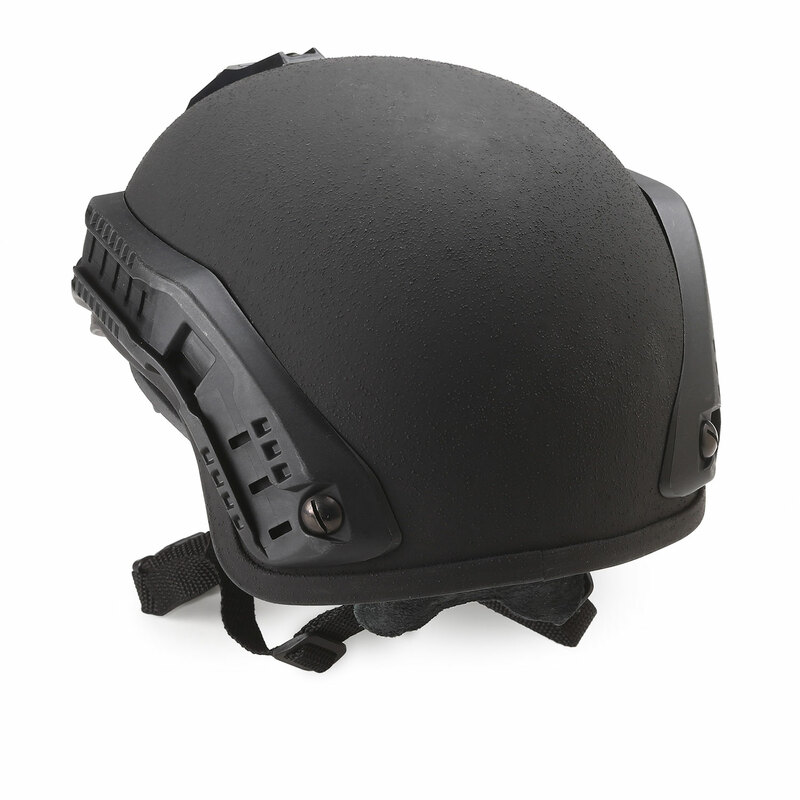 The Shell is manufactured utilizing advanced Thermoplastic Aramid and Glass Fabric Composites, which provide a high level of ballistic protection at a weight less than the specification of the U.S. Military ACH helmet. 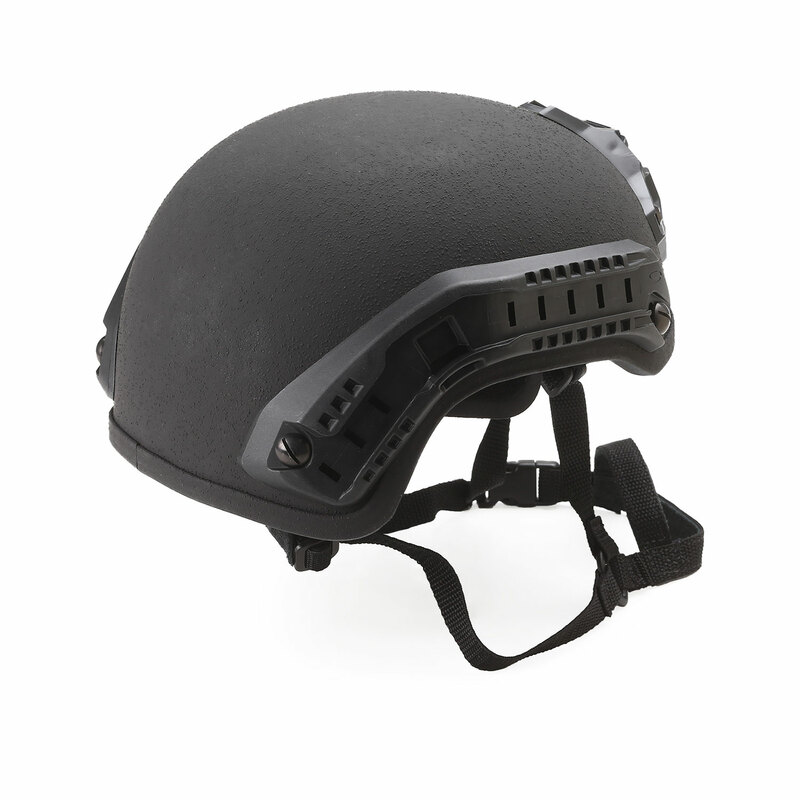 While it is built with similar dimensions to the U.S. Military ACH helmet, the higher cut allows for a better, unobstructed view and increased hearing capability as compared to the PASGT helmet. The neck trim line provides maximum protection while allowing uninhibited movement when wearing most ballistic vests with collars. The entire helmet is finished off with extruded neoprene rubber trim and protected with scratch resistant non-reflective flat paint. The retention system is built of tubular poly webbing reinforced with double bar tacked stitching in critical areas, and will come with both a full adjustable, smooth slide lock system, and padded nape strap to insure a stable and secure fit. 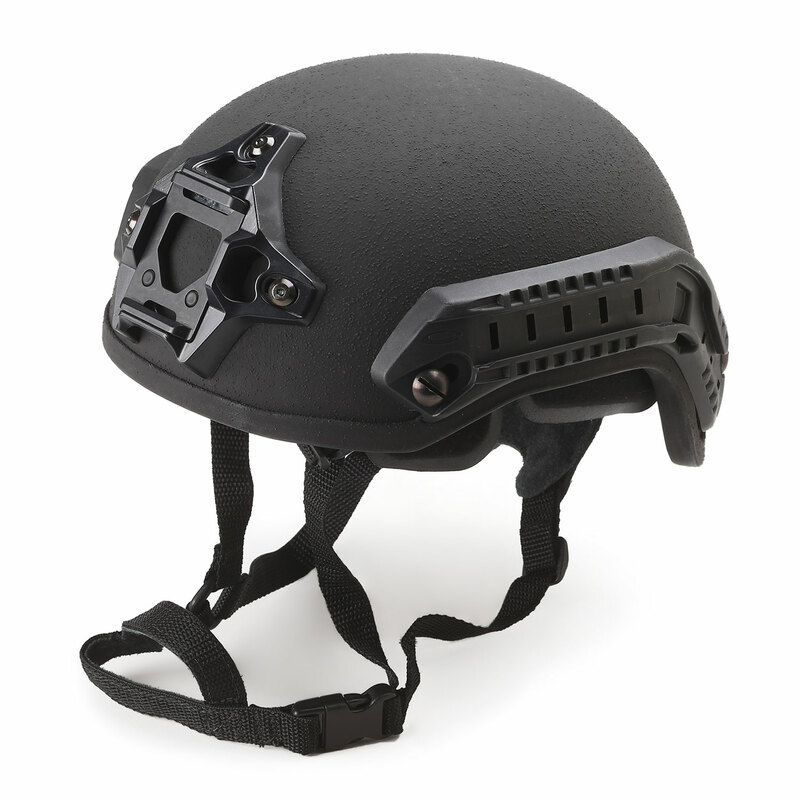 A user-friendly quick release mounted on the left side of the user’s head facilitates easy on, easy off use with no interference when sighting the individual’s weapon for target acquisition. The entire retention system shall be attached to the ballistic shell with a sturdy four-point flush bolt system, and will include a soft durable split leather chin strap.